My dad loves steak, and my parents love to visit us here in LA and check out the awesome restaurant scene that Martin and I often take for granted. 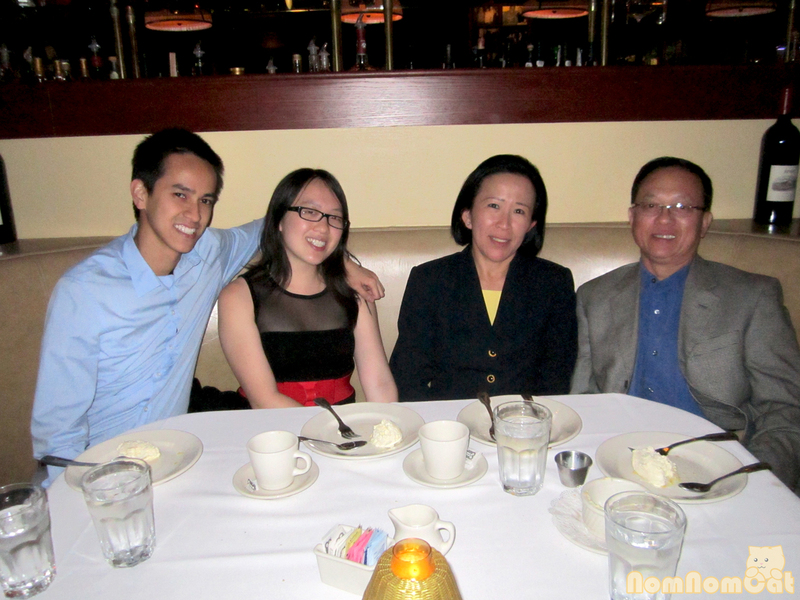 So it was with much excitement and enthusiasm that Martin and I decided to treat them to dinner at Morton’s The Steakhouse in Beverly Hills for my dad’s birthday last month. In anticipation of our dinner date, I had browsed some Yelp reviews. Many of them mentioned the table bread that was not to be missed. As soon as our friendly server Brian set this down at our table, I knew we were going to have a good night. 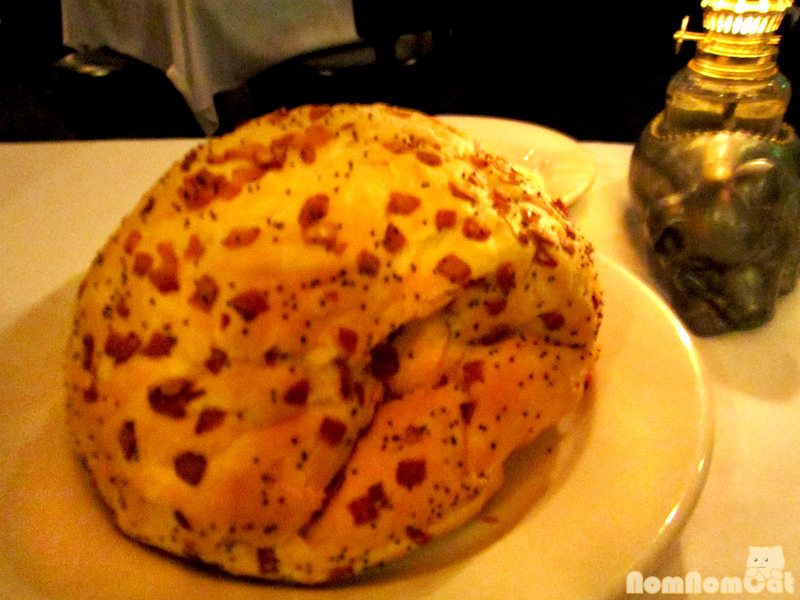 This enormous balloon of a loaf suspiciously resembled an everything bagel – freckled with sweet caramelized onion and garlic bits and dusted with poppy seeds. Crispy on the outside and fluffy on the inside, we could not get enough of this bread, pausing between bites to peruse the custom-printed menu with Happy Birthday printed across the top. A nice touch, Morton’s! Of course, we had to save room for the main event – the steaks! We each selected a steak entree and a few sides to share. Mine was the center cut prime ribeye (16 ounces), black & blue. The black & blue here is a cool-to-the-touch rare with beautiful sear. I love rare steak but black & blue was probably better suited for the more tender filet cuts than my ribeye, as it turned out a teeny bit gristly. The jus was absolutely delicious though! My dad selected the Mixed Grill plate, which featured a 6 ounce center-cut filet, three grilled shrimp, and two bacon-wrapped scallops. Anticipating that he would share, my mom went with a 6 ounce filet on its own. They swooped in before I had a chance to snap photos. 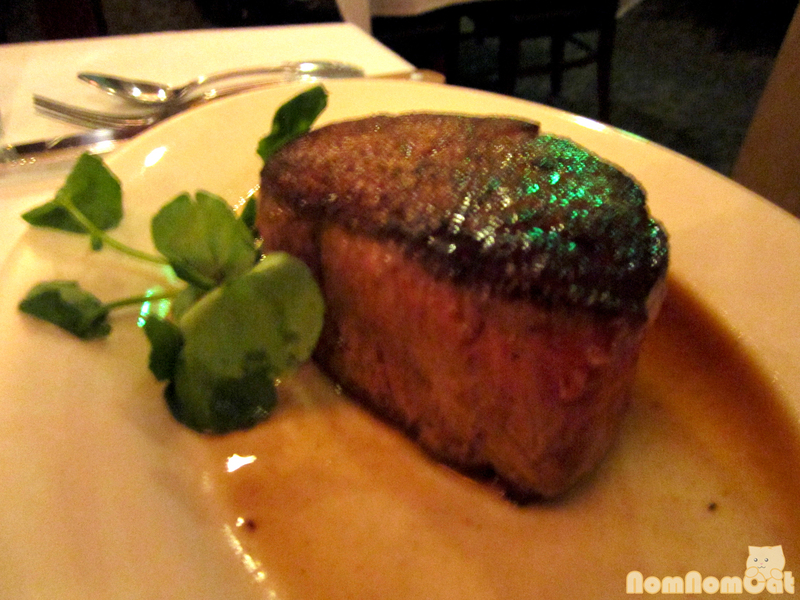 But no matter – here’s a lovely shot of Martin’s filet mignon, twice as large at a hefty 12 ounces. He ordered his black & blue as well and it was divine. 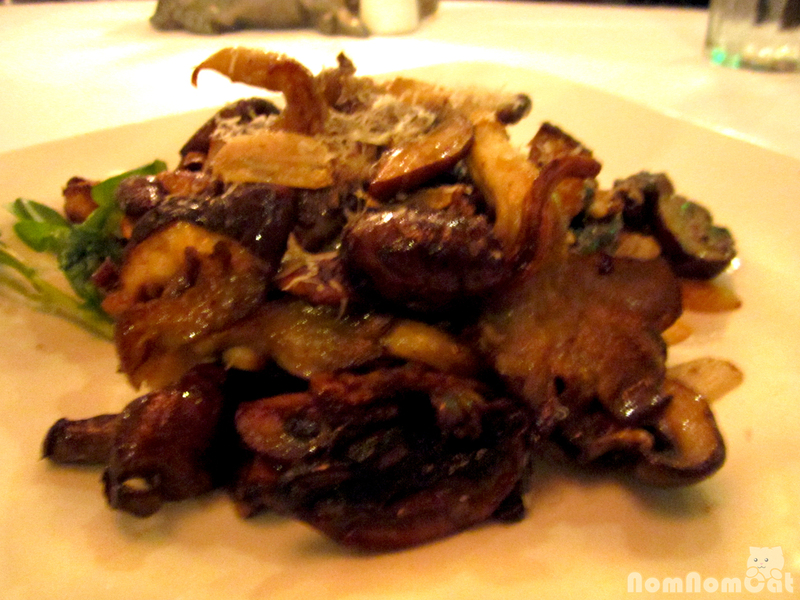 The first of our side dishes: the sauteed mushroom medley. A hearty, earthy blend of cremini, shiitake, and oyster mushrooms, this side dish was a forager’s dream and paired perfectly with our steaks. The portion was generous as well – I had plenty to take home as leftovers for one of the most amazing packed lunches my work desk would ever see. Side Dish #2: parmesan & truffle matchstick fries. 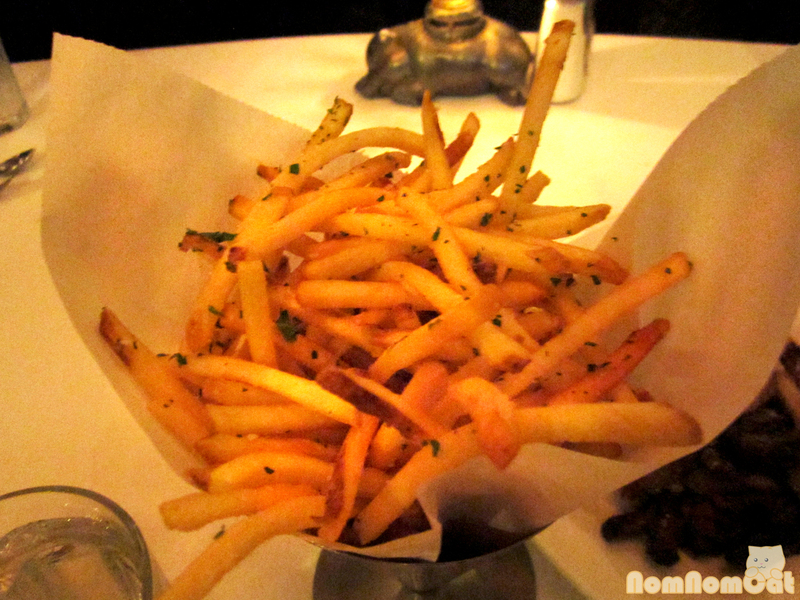 Truffle fries are a buzzword food item that Martin and I just HAVE to order if either of us happens to spot it on a menu, and Morton’s was no exception. The thin and crunchy matchstick fries were an excellent vehicle for the salty grated parm, colorful flakes of parsley, and of course, drizzles of fragrant white truffle oil. 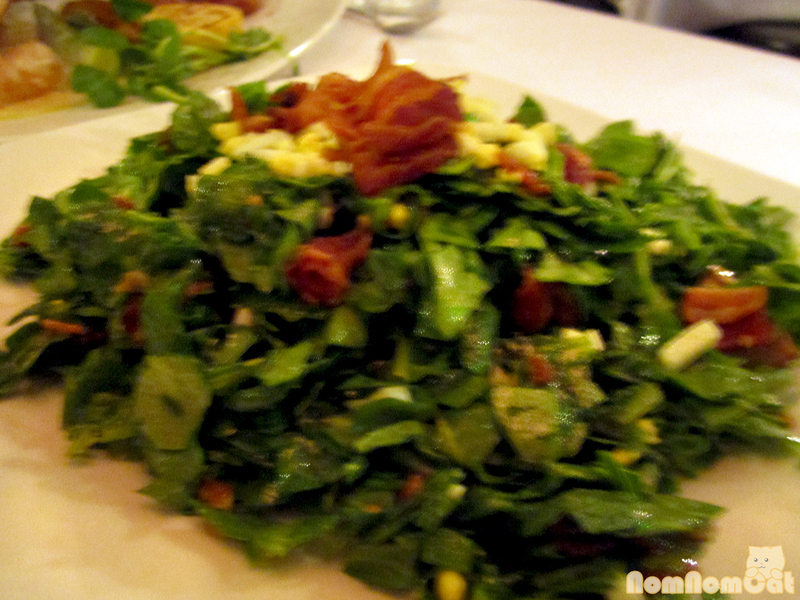 Side Dish #3: chopped spinach salad with warm bacon dressing. The green provided a semblance of healthiness that quickly dissipated as soon as the decadent, luscious bacon vinaigrette hit the palate. The chopped spinach was evenly tossed, not at all overdressed, and the dressing itself was (impressively) not greasy. Definitely a winner at our table! And of course, there is always room for dessert. Thanks to the “special instructions” field on Opentable, I was able to surreptitiously inform our server of our celebratory occasion. 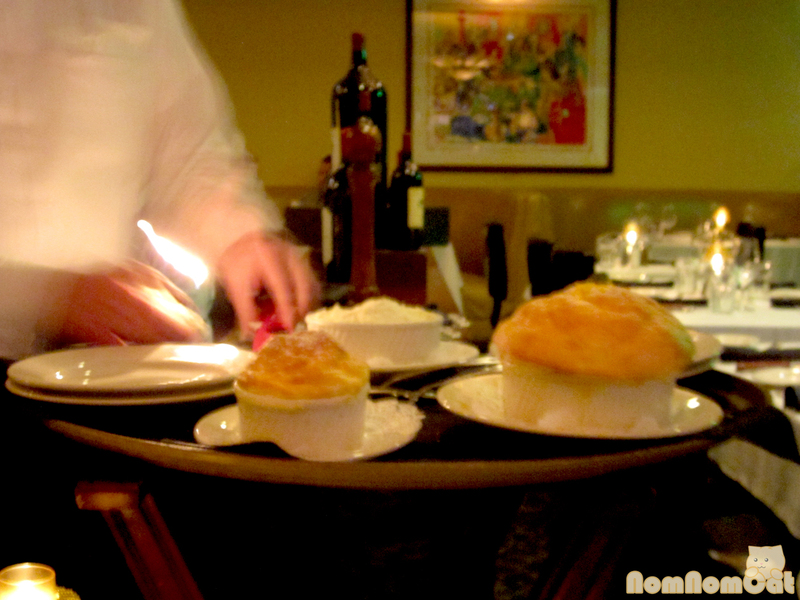 Out came a lemon souffle for one, along with a larger Grand Marnier “souffle for two” that we had ordered. Both had beautifully risen, although not quite as high as mine if I do say so myself, and they were wonderfully light and airy. I also appreciated that they were served with homemade whipped cream. Many thanks to Brian who not only took this photo for us but also made our night with his friendly banter and hilarious sense of humor. Moments before this picture was taken, “Hold on, let me take this picture first before I give you the bill. You probably won’t be smiling AFTER you see it…” Too funny. He was very attentive to our needs and though he seemed to disappear for a bit toward the end, it turned out he was personally brewing a fresh pot of coffee for us! 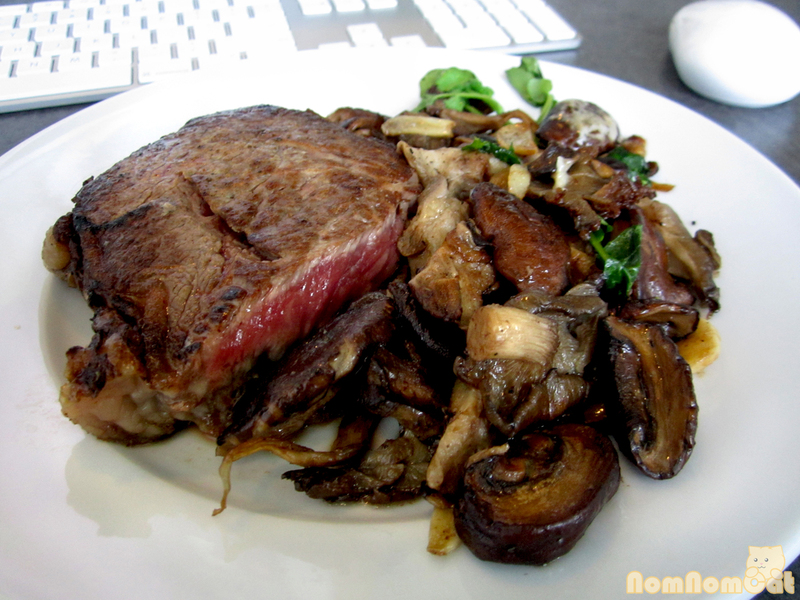 And as I mentioned earlier, I was able to make two meals out of my steak and the shared mushroom side dish. And yes, this really is the most amazing packed lunch my work desk had ever seen. Everyone in the office was envious, although I should have taken Brian’s advice and fried an egg to go on top. Now wouldn’t THAT be something! Morton’s The Steakhouse is definitely on our list of hotspots for special occasions. 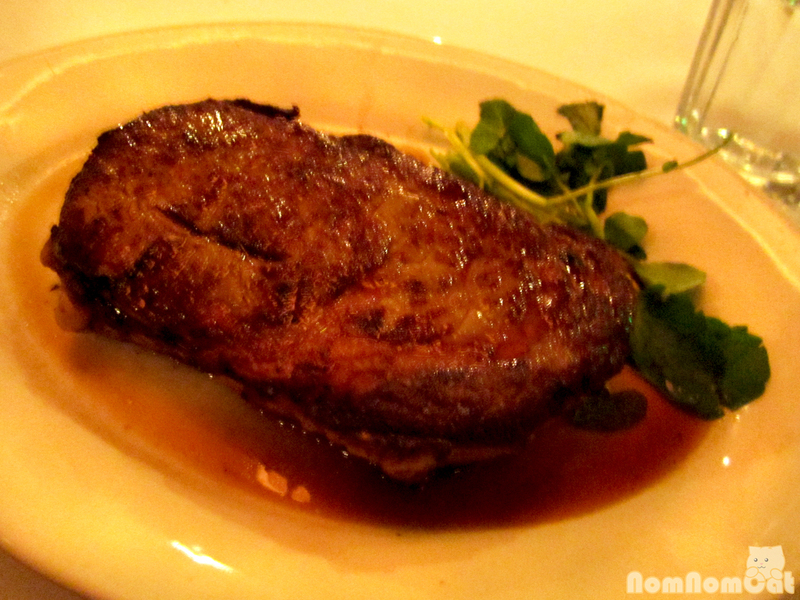 Our experience was wonderful; the service and classic steakhouse fare are hands-down worth the cost. I only regret that it has taken us this long to check out such a world-renowned steakhouse! Everything looks quite incredible! And what a cute family photo! 16 oz! That’s almost half a kilo. No wonder you had leftovers. Niiiice packed lunch though. I love a rare steak but never heard of black and blue before. I am going to do some investigating to see if the term even exists in NZ dining. Please let me know how that research goes! 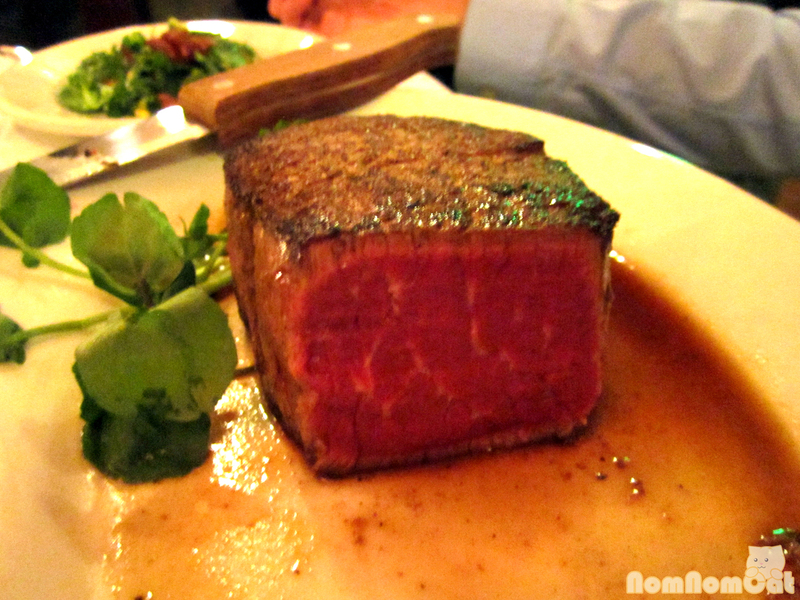 Not every restaurant here in LA knows “black & blue,” typically just the steakhouses.